INCORPORATED IN 1979, DON MASHBURN, INC. has been manufacturing products in the south Louisiana oilfields for over 35 years. In 1991, after several independent oil-field service companies approached Don Mashburn to create products for their tools and equipment, Don realized he would need to expand to meet growing needs. This meant purchasing additional equipment and hiring more personnel. In early 2014, Don Mashburn, Inc. moved to its new 50,000 sq. ft. facility in Broussard, Louisiana. Today, his company employs almost 100 workers and has added operating shops in Texas and Oklahoma. The total combined manufacturing and fabrication experience of the employees is in excess of 180 years. According to Don, they are the key factors in the success of the business. These professionals are committed to excellence, and it shows in the quality of the work they do. Their method is simply to make products better, more efficient, and longer lasting. 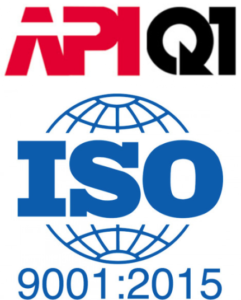 Don Mashburn, Inc. is API Q1 and ISO 9001:2015 certified. In today’s competitive market, Don believes that a good business is built on employees who possess certain key values such as integrity and respect for others, which, in turn, fosters teamwork. This, he believes, along with an eye for innovation and emphasis on quality, is the only way to do business.